Looking for family fun this weekend? 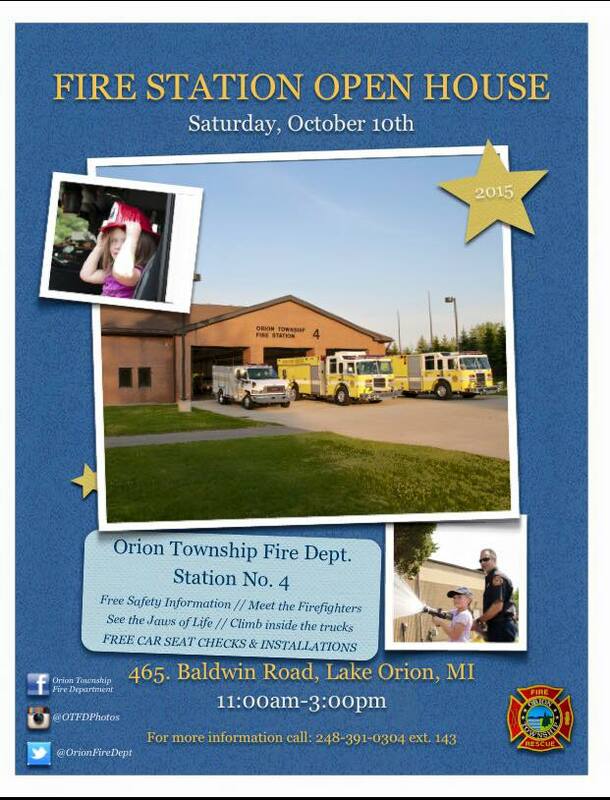 Orion Township Fire department is hosting an open house Saturday October 10 at their Baldwin Station, located at 465 Baldwin Road, in Lake Orion (north of Clarkston Road, south of Indianwood). Kids can see the “Jaws of Life” and climb inside the fire trucks!